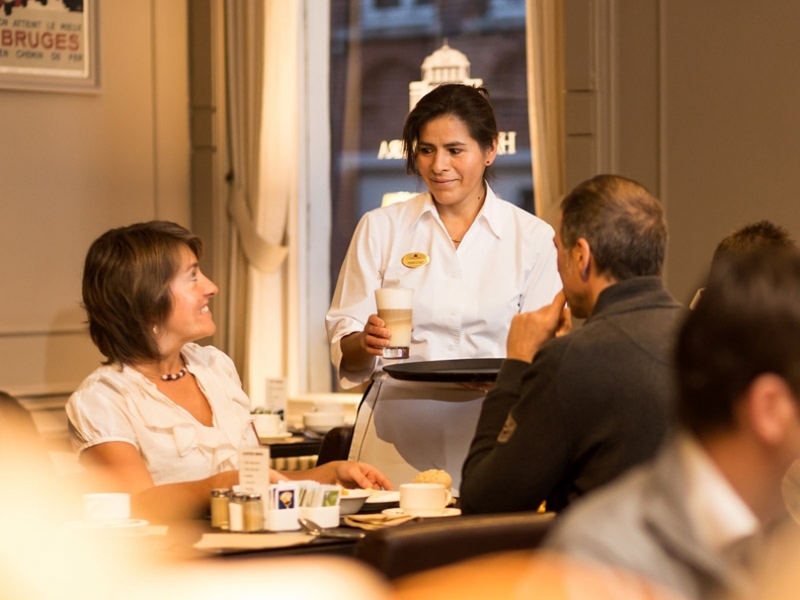 A personal hotel service is an absolute priority to Hotel Navarra Bruges. Our entire team will cater to your every need during your stay. You can count on our expertise and helpful service from the moment you make your hotel reservation. We will give you a warm welcome when you arrive at our hotel. We will inform you of our wide range of hotel facilities as you settle into our warm, homely atmosphere. 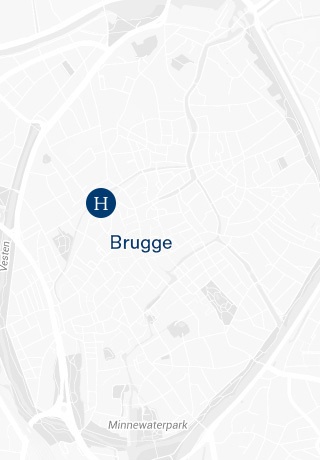 In short, our impeccable hotel service will always be accompanied with a bright smile and will make your stay in Bruges an unforgettable experience. If you have just booked an overnight stay with us and you still have some questions about the room or the hotel facilities, we will assist you with our excellent hotel service. Simply give our front desk a call, fill out our online contact form or send us a quick email, and we will help you as soon as possible. If you have already checked in at the hotel and something is unclear about our wellness facilities or breakfast buffet, our entire team will be available to answer your questions. 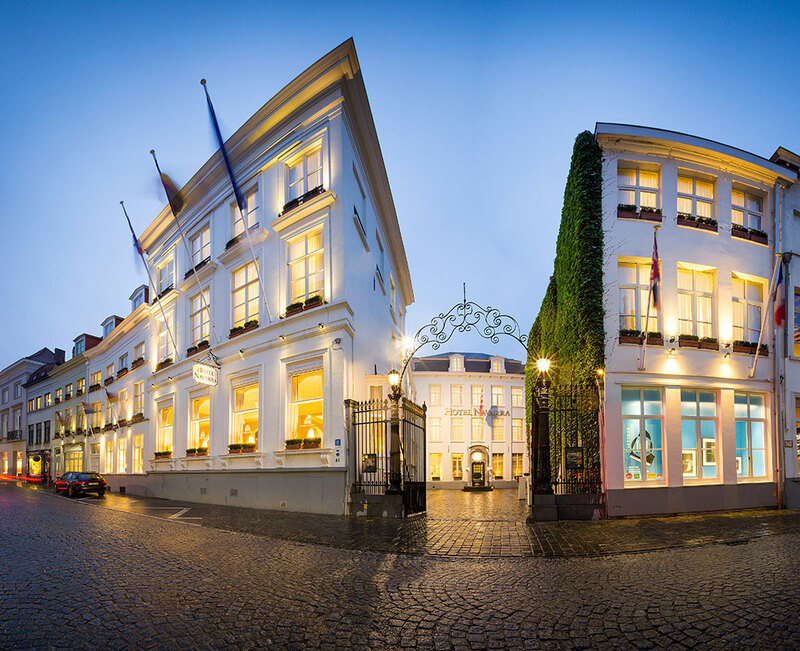 Get a comfortable hotel room in Bruges and experience pure bliss. To make you feel extra welcome, some fine guest supplies will be waiting for you in your hotel room, such as scented soap, shower gel and shampoo. If you would like to make your overnight stay at Hotel Navarra Bruges even more special, call the front desk for room service. This hotel service allows you to order a delicious breakfast or drinks and snacks from the hotel bar, and we will gladly take them up to your hotel room. If you need to wake up early the next day, request a personal wake-up call. Thanks to this hotel service, you will get to your breakfast, train or meeting table well on time. At Hotel Navarra Bruges we pay attention to detail, even in our hotel service ... That is why we offer several international magazines in the lobby for you to read through any time you wish. The free internet kiosk also has two computers available for you to print your boarding pass or a timetable, for example. When you book our unique meeting room, our meeting butler will assist you in the organisation and running of your meeting. He will welcome you and your guests in person upon your arrival at the hotel, he will be available if you have any technical questions, he will ensure that the meals and drinks are served on time and so on. With this unique hotel service we help make your meeting a success at Hotel Navarra Bruges.